Even though several have acknowledged in retrospect that former President Bill Clinton should have resigned following his scandalous affair with his 22-year-old unpaid White House intern, Monica Lewinsky, former Secretary of State Hillary Clinton is adamant her husband’s actions did not constitute an abuse of power. During an interview on CBS’s “Sunday Morning,” the two-time presidential candidate said, “Absolutely not,” when asked if Bill Clinton should have resigned the presidency over his affair with Lewinsky. “It wasn’t an abuse of power?” CBS interviewer Tony Dokoupil asked. The former top diplomat then used the line of questioning to shift the conversation to President Donald Trump and the series of sexual misconduct allegations against the Republican leader. While it’s certainly true Trump has vehemently denied every claim against him and disparaged his accusers, it’s also worth noting Hillary Clinton dabbled in dismissal and ridicule herself when women came forward years ago accusing her husband of wrongdoing. In 1992, Gennifer Flowers, a former lounge singer, came forward to claim she had a long-running affair with Bill Clinton. Hillary Clinton told ABC News at the time that Flowers was “some failed cabaret singer who doesn’t have much of a résumé to fall back on,” CNN reported. 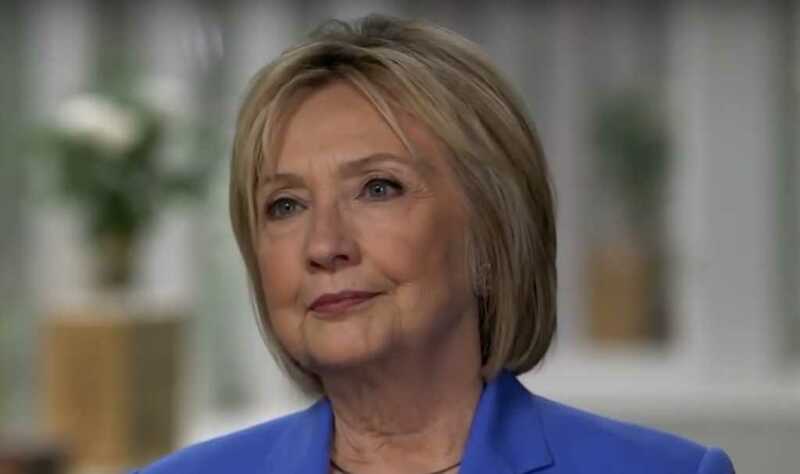 Hillary Clinton also, according to The New York Times, OK’d the hiring of a private investigator who was tasked with digging up dirt against Flowers from ex-boyfriends and then providing their comments to news outlets. She also infamously called Lewinsky a “narcissistic loony toon.” But Hillary Clinton believes today she’s innocent of ever disparaging her husband’s accusers.